An everyday moisturizing sun protector with SPF-15 that not only locks essential moisture but also works as defense system for the skin by protecting it from ill-effects of the sun, wind, UV radiation and heat. It helps heal minor rashes and sun burns while moisturizing skin. I got a bottle of this lotion today, and my first impression isn't too bad. A light lotion - reminds of calamine with its light pink colour. I don't know if the smell is from the rose water, but there is some other component to it. Would have loved the pump dispenser, but no cap for the pump. At first I thought, I had misplaced it somewhere in all the packaging, but turns out there really is no cap. The ingredient list looked a little scary with liquid paraffin listed right at the top, but my skin is going through a dry phase right now, so hopefully, this would fit in nicely. The rose water, chamomille, wheatgerm, and aloe vera extracts make me want to really like this lotion. So that's it for now. Will do a detailed review in about 2 weeks. 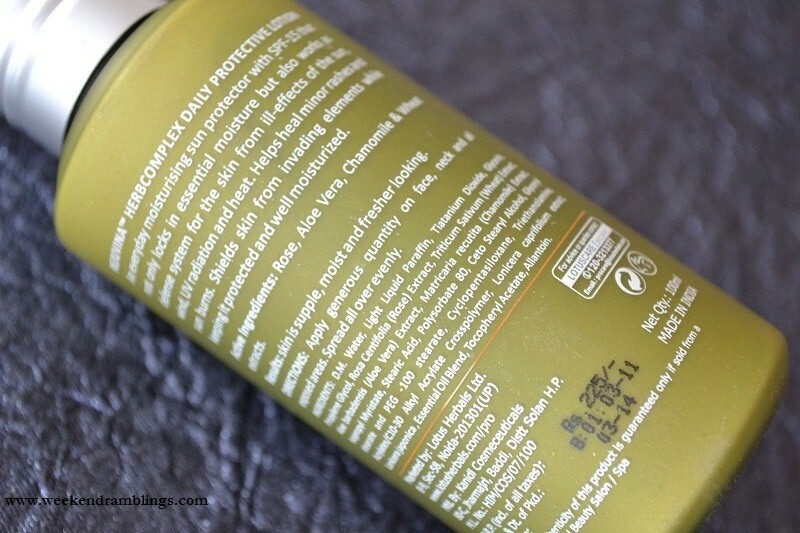 The Lotus Herbals Professional Phyto-Rx range is only available in specific salons. 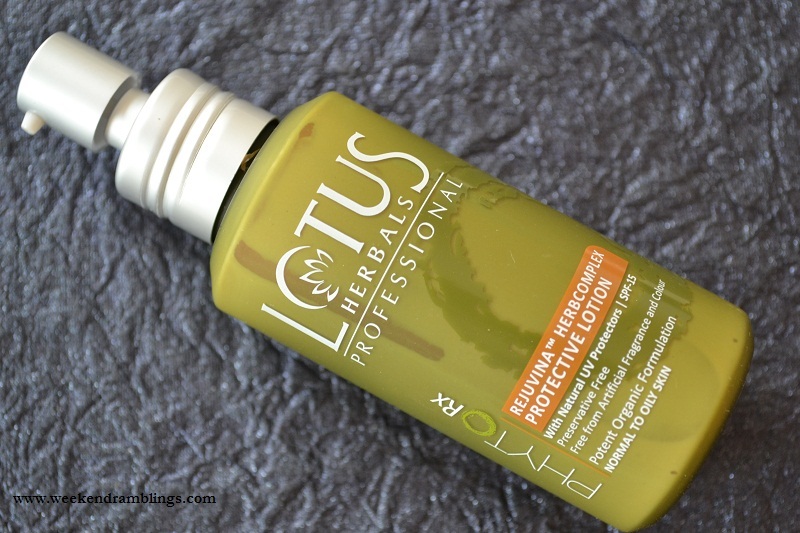 The list of salons selling Lotus Herbals Professional Phyto-Rx range can be found here. Product provided by the brand. No it no smell of roses..but something like that they put ...kewra? OMG hope nobody dies laughing at my guesses...is a mix of some of those kind of smells...they put it in food...some ppl put na rose water in food..like that..something. Nivedita - I think they upgraded the packaging, both with this and the Whiteglow range.